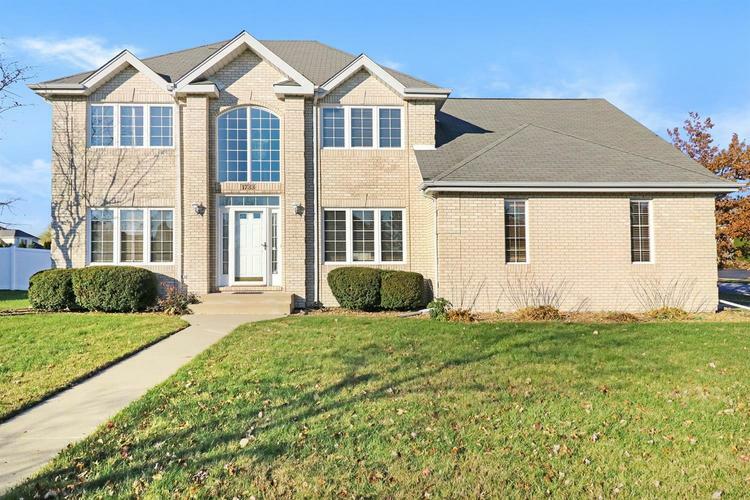 Stunning home on large corner lot in desirable Munster neighborhood! The 2-story great room features captivating ceiling-to-floor windows that fill the main level with beautiful natural light, a perfect atmosphere for entertaining guests. The spacious kitchen boasts light wood cabinets and contemporary stainless steel appliances, great for exploring your inner chef and cooking up those family favorite recipes. The finished basement with full bath is the ideal flex space for game room, home office, or bonus room of your choice! The sprawling backyard space offers a full privacy fence and walkout deck, perfect setup for letting the kids and pets play freely and safely. This is the one you've been waiting for!